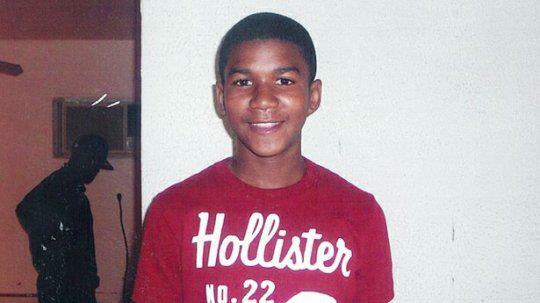 I want to add my voice to those concerned about the killing of 17 year old Trayvon Martin in Sanford, Florida. From what I have heard and read, it appears that this young person was shot and killed for the offense of walking while black or being outside while black. He also seems to have been killed because of someone else’s improper sense of entitlement and impunity. Hopefully the so-called justice system will further investigate this matter, and a fair trial will be held for George Zimmerman. Mr. Zimmerman is the man alleged by many to have shot and killed Mr. Martin. Here is an overview of the Trayvon Martin case from ABC News. This case has brought to needed attention the ongoing and seemingly never-ending fact in our nation that you can kill black people and get off easy for doing so. Also, the so-called “stand your ground” law in Florida seems to be first of all about shooting people. We are a nation that often seems crazed with violence, and where some lives appear to have less value than other lives. We need to work for justice and decent treatment of all people in our own lives and in our society as a whole. My friend Errington Thompson at Where’s The Outrage has been posting about the Trayvon Martin issue for a number of days now. Errington has also been writing usefully about race in America in recent days. Please check out his blog. Here is the weekly round-up of the Texas Progressive Alliance. The TPA is a confederation of the best political bloggers in Texas. The round-up is at the end of this post. With the round-up this weekend, since Memorial Day tomorrow, is a group portrait of African-American officers taken in Houston in 1918. The names of the men are given as —Lieutenant Benati H. Lee, Lieutenant Harry Murphy, Lieutenant Fred Johnson, Lieutenant Claudius Ballard, Lieutenant Harry Allen, Lieutenant Edward Douglas, Lieutenant Louis Washington, Lieutenant George L. Amos, Lieutenant Samuel A. McGowan, and Lieutenant Frank McFarland, 370th infantry. This picture is at the American Memory Project of the Library of Congress. I did not know that black officers would have been stationed and trained in a Southern city such as Houston as long ago as 1918. Here are some facts about black soldiers in World War I from the Library of Congress. The battles we have had to fight have been both at home and abroad. WhosPlayin notes that the Dallas-Fort Worth area has once again failed to meet its 8 hour ozone attainment, forcing TCEQ to implement contingency measures. Have you had your two teaspoons of ozone today? Rand Paul explains why Texas Republicans don’t mind pollution, notesCouldBeTrue of South Texas Chisme. Off the Kuff kicks off the official countdown to KBH’s 2012 re-election announcement. Above is the strange New Orleans Saints mascot Sir Saint. Why does he have to be white? In 2008, 65% of NFL players were black. 29% of players were white in 2008. Plenty of folks in New Orleans and Louisiana are black. When this mascot was designed, a decision had to be made if he would be black or white. Why white instead of black? With almost two-thirds of NFL players black, maybe he should have been black. Maybe the Saints could have two mascots. They could have a white one and a black one who go around the field as loyal teammates. According to the book How Barack Obama Won by Chuck Todd and Sheldon Gawiser, 84% of white voters in Louisiana voted for John McCain in 2008 while 94% of blacks voted for Barack Obama. That is quite a racial disparity. Here is a history of post-Civil War Reconstruction in Louisiana. It is an ugly and brutal story that led to the terrible Jim Crow-era in Louisiana. You can say that Sir Saint is just a silly football mascot and who cares what he looks like? Yet in a place with as nasty a racial history as Louisiana and New Orleans, the decision as to what color the football mascot should be implies something. Especially when the mascot does not look like the majority of players on the field. The Saints should get themselves an odd-looking black mascot as well and the black and white mascots could play catch on the sidelines and team-up to tackle rival mascots. This would show people that black and white folks can get along—-Even in Louisiana. What would be best would be if the black mascot and the white mascot could get married in a halftime ceremony. Such a ceremony would help the players get in touch with their true feelings with all that physical male-bonding going on in football. The gay marriage though might have to wait until I own the Saints. I recently watched a 35 year old episode of All In The Family. I’m up on pop culture as long as I have 35 years to catch up. When he saw that the $20 was no good, George stormed over to Archie’s house, next door to his, and demanded $20 in real currency. Well—you can just imagine the trouble from that point on. Life is more complicated than in 1974. In terms of race, America is, in some respects at least, better than it was in 1974. While there is little to be said for what race relations were in the era of fights over busing and not long after years of urban rioting, the black and white world of Archie Bunker and George Jefferson did make for better television than much of what is on today. 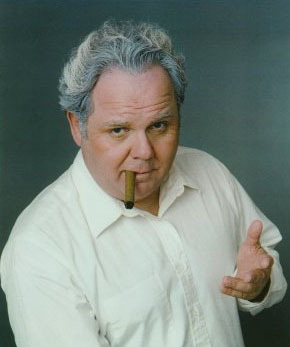 As someone who grew up watching All In The Family, I sometimes have to remind myself that race relations are more nuanced today than in the past. I’ve never quite gotten the sounds Archie and George yelling at each other out of my mind. One thing I’m reasonbly certain of–A black President named Barack Obama serving at the same time that much of black America still lives in borderline genocidal conditions of urban (and rural) poverty and despair, would not have been a future people would have imagined 35 years ago. How Many Auto Workers Who Moved To Detroit Suburbs Ever Cared About What They Were Leaving Behind? 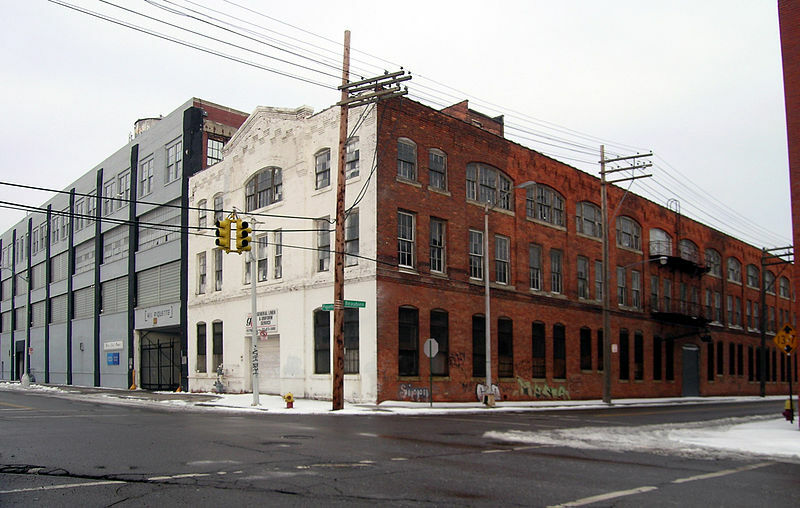 Above is a former Ford auto plant in Piquette Street industrial district of Detroit. This Piquette Street area is on the list of the U.S. National Register of Historic Places. Here is information about the Piquette Street Ford plant. Many famous car models were made at this plant. Here is a link listing the plants and factories that once existed in this area. I’ve been thinking today about how many auto workers moved to the Detroit suburbs without any care about the future of the City of Detroit. Many of them were content enough to leave that city in ever-growing poverty. I don’t believe in karma, but it does seem that a number of things have caught up with Michigan’s auto workers. I hope as many jobs stay as possible in the Michigan auto industry. If we don’t care about fellow working people, who will? Yet at the same time, I’m not going to lose sight of what many of these workers were and are, and the attitudes they have held over the years. Here is some history of Detroit from two people who clearly spent a great deal of time working on it. It is comprehensive and quirky and well worth a look. I’m sorry that my late friend, Johnny Castille, a black man and a Democrat, is not here to see Barack Obama on the cusp of winning the Presidency. Johnny died late last year or early this year. I can’t recall the exact date. He was in his early 60’s at the time of his death. Johnny was a sacker at my local supermarket here in Houston. He had served in Vietnam and worked at General Motors in Indiana for many years. He was retired from GM and was working at the supermarket until his retirement benefits kicked in. I don’t know if he would have ever seen those benefits given the state of GM. Johnny was one of the first friends I made after I moved to Houston 10 years ago. He was a loyal Democrat and a good person. He had a sense of humor. While he was at first a supporter of Hillary Clinton, I’m certain he would have moved to Senator Obama as the campaign progressed. There is a woman customer I talk to at the supermarket who was also friends with Johnny. I mentioned to her last week that I regretted Johnny was not here to see what was taking place. She said she had had the same thought, but she knew Johnny could see what was taking place. She told me she has prayed long and hard for Senator Obama to be safe in this campaign, and that in her view he was anointed in some way. I felt some understanding for what she was saying despite not having the same religious faith or skin color as she. There are three weeks to go in the campaign. In honesty I wish I had a faith that would allow me the relief of prayer. I am tense over the outcome. Senator Obama offers hope that this country is not the country we have lived in for the past eight years. Maybe we can move past some of the history that holds us back in so many ways. We’ll elect this black person and folks will see that the world does not end. I never thought I’d see a black person as President of the United States. In three weeks we’ll see how it turns out. Win or lose on Election Day, I’m sorry Johnny is not here today. But I’m made hopeful by what I am seeing. Maybe it is possible that morning will come. What Is The Bradley Effect? Who Was Bradley? The so-called “Bradley Effect” is a topic of conversation and, for Democrats, concern in the 2008 campaign. The Bradley effect is the idea that persons contacted by pollsters lie about support for a black candidate for public office. They tell the pollster they support a black candidate because they don’t wish to be seen as racist. But when they go to vote, they vote for the white candidate in the race instead of the black person they had told the pollster they favored. This is the Texas Liberal Election Fact Of The Day. A recent Associated Press story suggests that Senator Obama will have to have a lead in the polls of at least six points to overcome this factor on Election Day. This idea is disputed by a leading analyst of poll data. This New York Times article discusses the issue. The term Bradley effect comes from the 1982 election for Governor of California. Los Angles Mayor Tom Bradley ( photo above), a black man, was leading in the polls over California Attorney General George Deukmejian. Mr. Bradley was a Democrat and Mr. Deukmejian a Republican. Despite Mr. Bradley’s lead in the polls, Mr. Deukmejian won the election by a small margin. Is the Bradley effect for real? Have we moved ahead in the 26 years since 1982? Will a kind of reverse Bradley effect take place this year where Senator Obama actually gains votes because he is black? There have been some recent articles and polls suggesting that some union members and some Democrats are hesitant to vote for Barack Obama because he is black. Though here is a contrasting view. If some unknown number of union members and Democrats don’t want to vote for Barack Obama because he is black—Well, that is a decision that people are going to have to make. I just know that I’d rather lose the election than not have nominated a black candidate because of his race. I’m not talking here about consistent Republican voters. I’m talking about people who most often pull the correct lever on Election Day. If after 40 years of voting for George Wallace, Richard Nixon, Ronald Reagan, and the Bushes, some blue collar voters still don’t get the idea that these people are not helpful for average working folks, then good luck to them in finding a future for themselves and their kids. If cultural issues such as guns and gays are the most important things to these voters, that is a call they are free to make. I know the issue here is not God because Barack Obama is a fully believing Christian. Every election of my adult life–I’m 41– has been about the same stuff. And our national life just seems to get worse and worse. I’m hopeful good sense and optimism will prevail and that Senator Obama will win this election. But win or lose, maybe we need to look at some new options to make our lives better. How about a liberal only open-enrollment health plan? Or a liberals only credit union for car loans and college loans? There are millions of us. Enough to make grand plans work. We could work it out so that our organizations donate some amount of fees and dues to liberal causes. Discounts could be offered if you could show proof of a donation to liberal candidates or reliable voting in Democratic primaries. I’ve wasted enough of my life waiting for people who should know better to come around. I’m not giving up on people. But this is one of those times when we are really going to see what is in some people’s hearts. Below is the profile of Ragtime musician Scott Joplin (above) from the book Who’s Who In The 20th Century. This book was published by Oxford University Press. Mr. Joplin lived 1868-1917. Black people of high creativity long had a very rough road to travel in America. Please click here for Texas Liberal posts on the great actor Ira Aldridge and the writer Paul Laurence Dunbar. For Mr. Joplin, beyond the barriers his skin color presented, he was also hindered by the artistic limits of his music. You don’t have to know much about either ragtime or opera, to wonder about an opera made from rag music. My guess is that Mr. Joplin did the best he could against the obstacles he faced. Here is more information about Mr. Joplin. Here is more information about Ragtime music. A few days ago I was at the supermarket. In the supermarket parking lot, I saw an interracial couple. One person was black and the other white. A moment later I saw a white woman get out of her car with a small Asian girl. I don’t know for sure, but I assumed it was her daughter. When you think that Houston, and much of America, were strictly segregated as recently as 40 years ago, it really is a kind of miracle what we see today. I know much work is left to be accomplished. I know how hard it was to reach this point. But I sometimes think to myself that, in this respect at least, I’m glad I live in these times and not in a time when these things were not possible. A new study says that the rate of AIDS in the United States is 40% higher than previously thought and that black Americans are bearing the brunt of this epidemic. The CDC acknowledged what activists have being saying all along: More concentrated prevention efforts are needed if the virus is ever going to be contained among African-Americans. € Standing on its own, Black America would constitute the world’s 35th most populous country, but would rank 16th in the world in the number of people living with HIV. € A free-standing Black America would rank 105th worldwide in life expectancy and 88th in infant mortality. Blacks in the U.S. have a lower life expectancy than do citizens of Algeria, the Dominican Republic or Sri Lanka. € Outside of sub-Saharan Africa, only four countries – and only two in the Western Hemisphere – have adult HIV prevalence as high as the conservative estimate (2 percent among adults) for Black America. Blacks represent about one in eight Americans, but account for one in two people living with HIV in the U.S.
€ Despite extraordinary improvements in HIV treatment, AIDS remains the leading cause of death among Black women between 25-34 years and the second leading cause of death in Black men between 35-44 years. € Black women in the U.S. are 23 times more likely than White women to be diagnosed with AIDS. € Blacks make up 70 percent of new HIV diagnoses among teenagers and 65% of HIV-infected newborns. Here’s the bottom line–People of color can die in this country and the majority culture will–in most though not all cases– not care. Black folks themselves are going to have address AIDS. Part of this will be demanding that elected officials tackle this problem. Another solution will be admitting the problem exists. In 1994 I was part of a campaign for the Ohio State Senate from an urban district centered on the city of Cincinnati. The candidate I worked for was a black member of the Cincinnati City Council. This candidate discussed AIDS. He said condom distribution and needle exchange were needed to help lower rates of AIDS. For this message, his Republican opponent and some local black preachers used these assertions effectively against him in the campaign. They said he was promoting immorality. These folks should have been run out of town. Instead, they were listened to as people got sick and died. A society that does not care if you live or die is given a free pass when you do something self-destructive. AIDS requires the attention of all people. But it is the folks most impacted who will have do the heavy lifting needed to fight the plague. A new New York Times survey has Barack Obama leading John McCain by 45% to 39%. Reading the polling data, one question did stand out. People were asked what percentage of the country was black. The Census Bureau reports that in 2006, 12.8% of the American public was black. That number added up to about 38.3 million people. In the Times survey, 32% of all people said America was between 20% and 30% black. An additional 32% said the number was between 30% and 40%. And 9% of respondents said America was a majority black nation. Both a majority of black and white folks in the survey got the question wrong. I guess I should stop being surprised at what people don’t know, but I really don’t see how people can figure the nation is 30% or more black. Do whites get it wrong out of a fear of being overrun? Are blacks looking for strength in numbers? In any case, I don’t get what people are thinking sometimes. Don’t folks have any sense of the world around them? Here is BlackDemograhics.com with information on blacks in the United States.